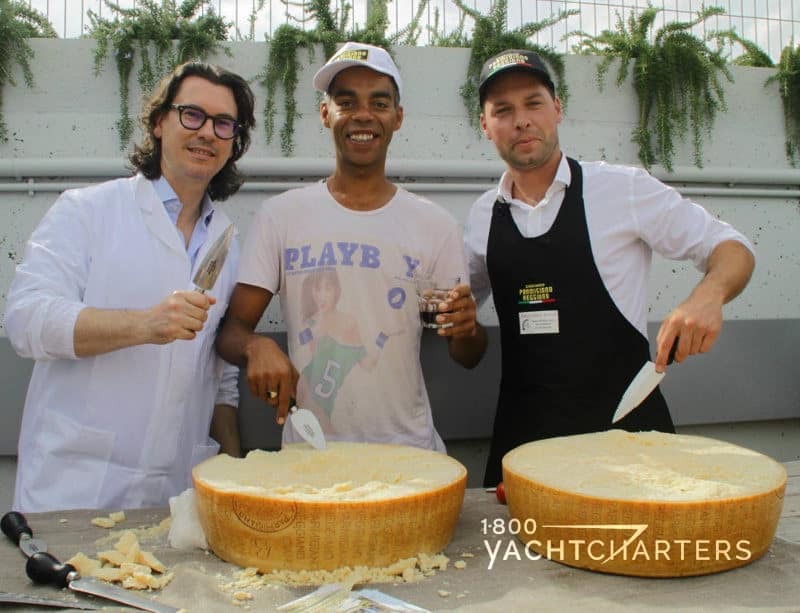 Posts tagged "the superyacht experience"
Bon appetit! Motoryacht TAKARA will begin the 2017 Balearic Island yacht charter season with a new chef in the galley. Delicious, well-plated meals are integral to the overall Superyacht Experience, and it’s always good news when a chef like Daniel joins a professional superyacht team. Chef Wilbor will be part of a 6 person crew. Motoryacht TAKARA is fully licensed to charter in Spain. This is extremely important and often overlooked by charter brokers and charterers. 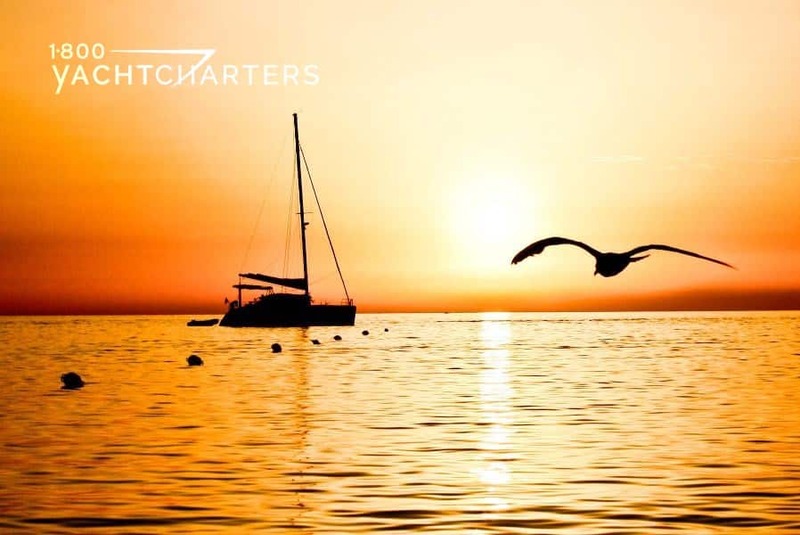 Without this special registration, a yacht cannot begin and end a charter in Spanish waters; furthermore, local Spanish workers like massage therapists, are precluded from coming aboard and providing services for the charter guests. 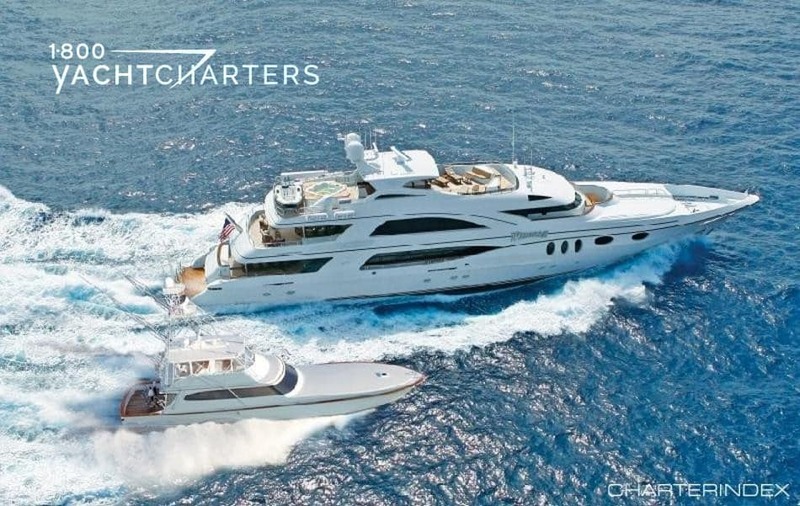 Without having a Spanish yacht charter license, a superyacht needs to begin and end the charter in a remote location, like France, which adds wasted time and increased fuel costs to the overall charter. 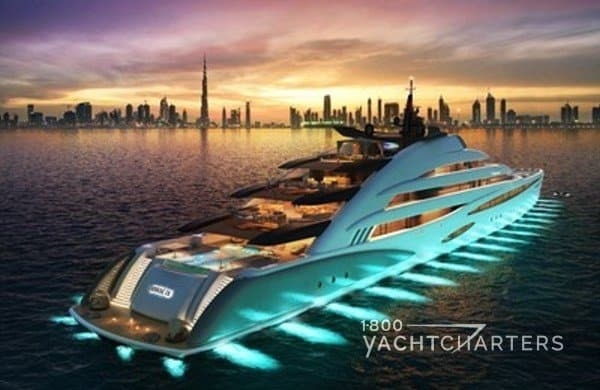 That is not the Superyacht Experience we envision for our clients! Come experience the talented menus of newly-welcomed Chef Daniel Wilbor onboard yacht TAKARA this summer. Plan a private luxury yacht charter in the Balearic Islands of Spain. 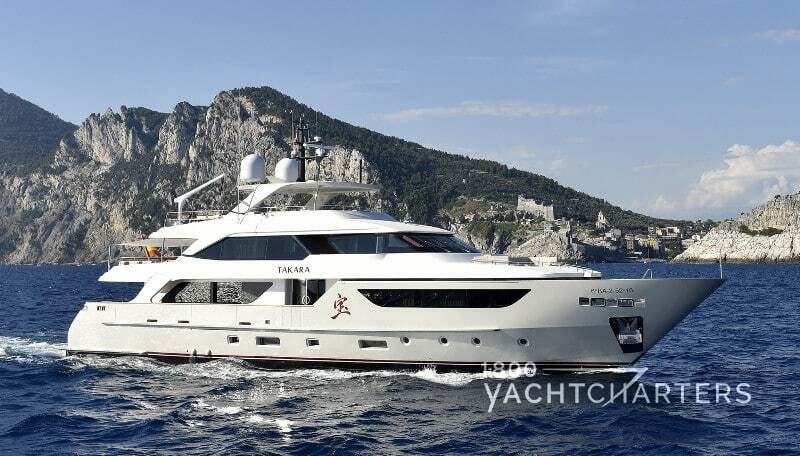 Text “TAKARA” to 305-720-7245 for more information or complete our online inquiry form at https://www.1800yachtcharters.com/book-now-contact-us/ , and we will contact you right away! As private luxury yacht charter brokers, working and living in South Florida is truly a blessing. 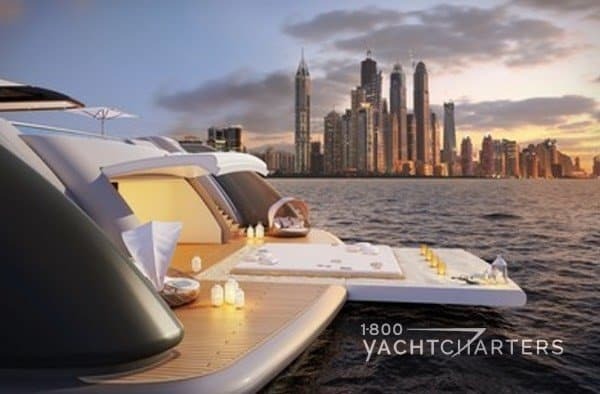 This is the yachting capital of the world, and we are blessed with warm weather, great beaches, and year-round access to the newest and largest yachts in the world. While our mission is to Deliver the Superyacht Experience to our clients, our business is built for the specific purpose of generosity: We strive for success in order to share our blessings with our community. This week, on Thursday and Friday, EVERY PERSON AND CORPORATION in South Florida has a unique opportunity to be generous, by participating in The Miami Foundation’s Give Miami Day — a 24-hour period in which donations can be made online to more than 500 charities. The blitz begins 12:01 a.m. Thursday and runs for 24 hours. Now in its third year, Give Miami Day has gained popularity with each campaign, with more and more charities coming on board. This year, Give Miami will include 115 new charities — among them Goodwill Industries, the South Beach Chamber Ensemble, the South Florida SPCA Horse and Large Farm Animal Rescue, and Honor Flight South Florida. Returning charities include Miami Lighthouse for the Blind and Visually Impaired Inc., and Shake-A-Leg Miami – a sailing program for the physically-challenged. Here’s how it works: Simply go to the website www.givemiamiday.org, look at the profiles of each charity, and make a donation to any charity (or charities) that touch your heart. Donations between $25 and $10,000 will qualify for a bonus for the recipient, distributed based on how much is raised and how much is collected in the bonus pool on Give Miami Day. The Miami Foundation, Knight Foundation, and other sponsors have contributed to the bonus pool as an “incentive” for giving. Last year, Give Miami Day received more than 10,000 individual gifts like Jana’s, and raised $3.2 million to support 407 local nonprofit organizations. There are so many worthy charities participating in give Miami Day – certainly there are one or two that will call out to you. ANY amount will help SO MANY! 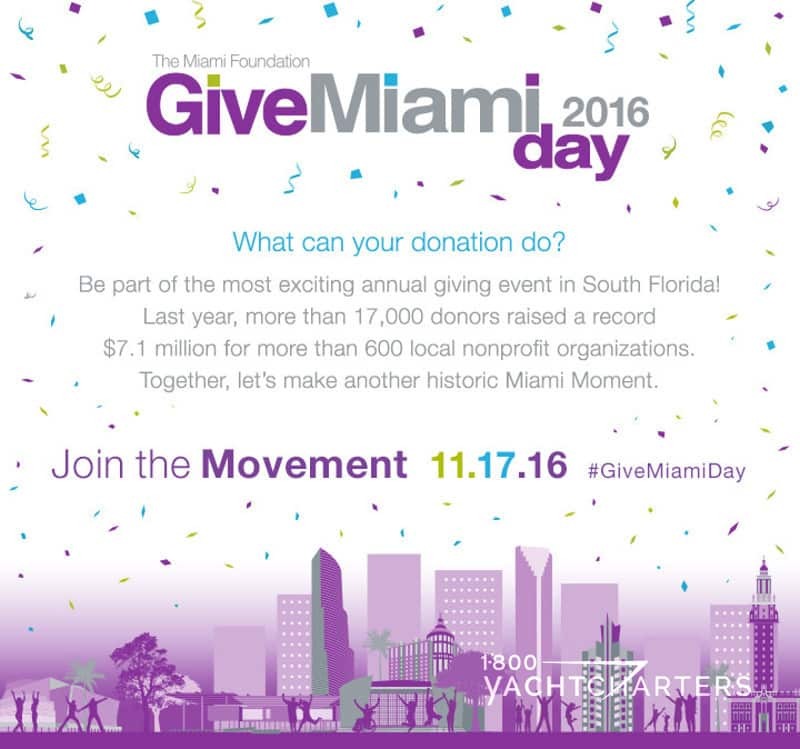 How: Visit givemiamiday.org and either click on the charity of your choice, or search through the database. Donations between $25 and $10,000 qualify for a percentage of the bonus pool. Good times in the Bahamas just got even better, with the addition of the world’s largest tender to a luxury mega yacht charter vessel. 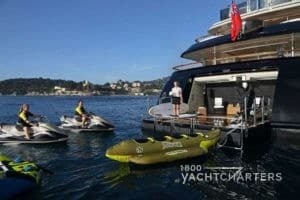 Motor yacht WHEELS, a 50 meter behemoth in her own right, has just added a 24-meter (80′) sportfish tender to her already impressive inventory of watertoys. Far too large to be carried or towed, the tender, named REEL WHEELS, will follow closely along during charters, ever available for the use of the charter guests. Amazingly, the yacht’s current tender, a large, Yellow Fin 36 is still in tow. With two high performance sportfish tenders, there’s no excuse for any guests to be left behind when its time to hit the water for fishing, diving, and snorkeling excursions. The envy of any deep-sea angler, REEL WHEELS is a 2007 Merritt 80 Sportfish yacht, fully-rigged with state-of-the-art fishfinder electronics and fishing gear. 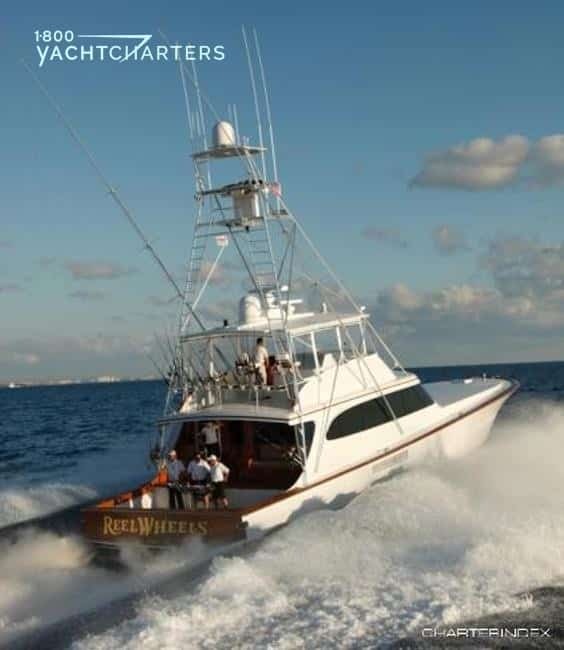 The “REEL” advantage of adding this sportfish yacht to the charter package is the capacity to bring more charter guests. REEL WHEELS has a master cabin with room for two guests. This means the total charter party for a vacation onboard WHEELS is 14 passengers. 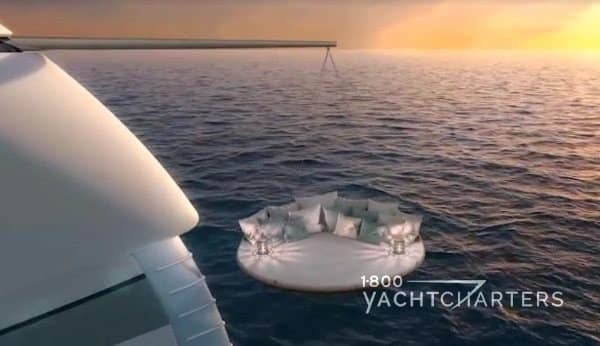 This is great news considering most megayachts can accommodate no more than 12 guests. Just reading the list of onboard toys is exhausting! There is NO extra charge, to bring REEL WHEELS along, in tandem with Trinity motor yacht WHEELS 164. The charter price remains as before: $200,000 per week plus expenses. 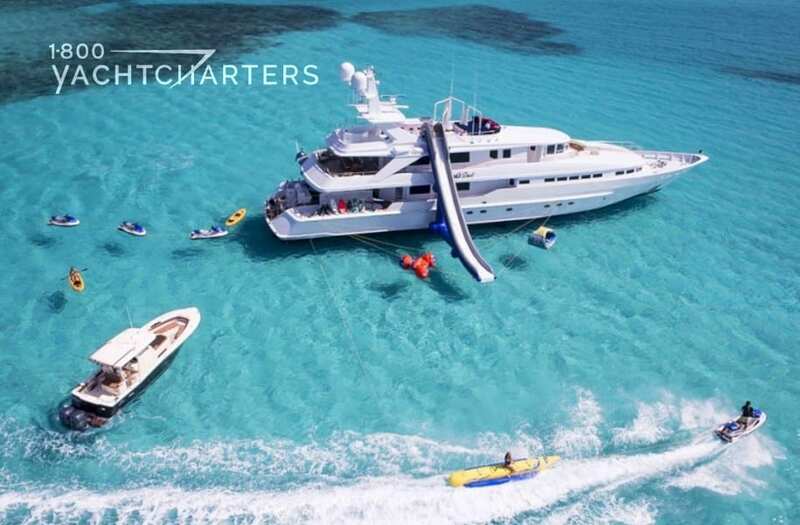 To book your own Bahamas yacht charter vacation, click https://www.1800yachtcharters.com/book-now-contact-us/ to contact us immediately! Enjoy The Superyacht Experience with us! 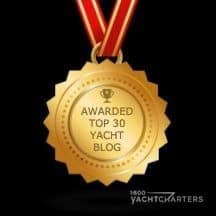 Feedspot, a 4-star rated RSS Reader, has selected the luxury yachting lifestyle blog of 1-800 Yacht Charters as one of the Top 30 “Best Yacht Blogs on the Planet.“ The company joins a distinguished list that includes Reddit, and the boating magazines, Yachting and Yachting World. In responding to the award, Jana Sheeder, the President of 1-800 Yacht Charters thanked Feedspot for the recognition. Feedspot is a modern RSS Reader. “If you’re trying to keep up with news and content on multiple web sites, you’re faced with the never ending task of visiting those sites to check for new content,” says Agarwal. “Feedspot allows you to put all of your reading in one location.” Feedspot arranges their blog feeds in master categories such as Fashion, Education, Business, Health, Sports, and Culture. Realtime Updates in your Inbox — Get instant updates from your favorite sites right in your email inbox. You can even select specific sites for instant email notifications. This way you will never miss any important updates. Search Inside Sites — Search for articles only within the sites you’ve added to your Feedspot account. It’s like your own personal search engine – unlike Google, which shows results from the entire web. Advanced search filters is an amazing way to find the content that matters to you. Saved Searches — Use saved search features to find articles on specific subjects. Create special searches to find articles about your business, brand, and products, and save them for easy reuse. Ad-free Feedspot — Advertisements are not shown to Feedspot Gold members. Get an awesome reading experience – almost as good as The Superyacht Experience at 1-800 Yacht Charters! Fast Updates — Get fast news updates from sites and blogs that update less frequently. News Topics — Get latest relevant news articles based on topics you care about. Local News — Read local news by simply typing in a city name or zipcode. You can create a local section for any city, state or country in the world and include thousands of sources. Google Alerts — Google Alerts now support RSS feeds so that you can receive and view alerts right from your Feedspot account. Until now, alerts have been delivered via email only, but those days are over. Now your News, Web, Blog, Video, and Groups alerts are more easily accessible than ever. Dropbox — Automatically backup all your Feedspot data including your feeds, favorite, and tagged articles to your Dropbox account so that you don’t have to worry about data loss. Evernote — One-click save any article to your Evernote notebook. RSS Feeds — Combine multiple RSS or atom feeds into one new RSS feed. Get RSS feed for your favorites, shared items, tags, and folders. Facebook — One-click share any article to your Facebook account. Come visit 1-800 Yacht Charters on Facebook, too! Twitter — One-click share any article to your Twitter account. Buffer App — One-click add any article to your Buffer app queue. YouTube Subscriptions — You can add all your favorite Youtube Channels or subscriptions into your Feedspot account and keep track of all your favorite videos from one place. Customize Homepage — Lets you customize what you want to see by default on your Feedspot homepage. You can opt to see updates only from selected important sites on your homepage so that you read them first whenever you visit Feedspot.